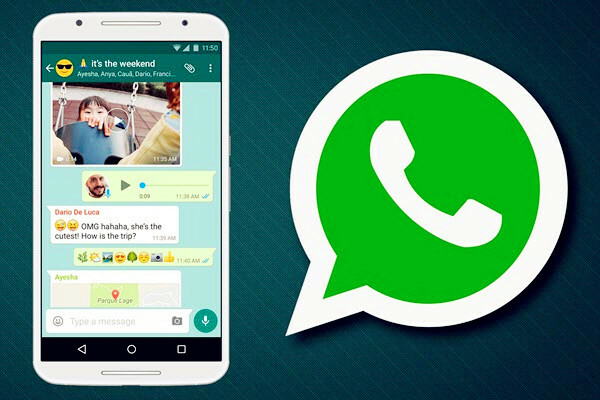 As we know, WhatsApp is a very popular instant messaging application available for all Android and iOS devices. With the push notification service, it can instantly send and receive messages, pictures, videos, audios, documents, etc. with your relatives and friends. Unfortunately, its function is not comprehensive. When the chats are lost or accidentally deleted, it is difficult for users to retrieve them if backup files are not available. However, technology makes everything possible! Read this article to learn the two effective methods to recover deleted WhatsApp messages on Android smartphones and tablets. Why the Deleted WhatsApp Messages Can be Recovered? 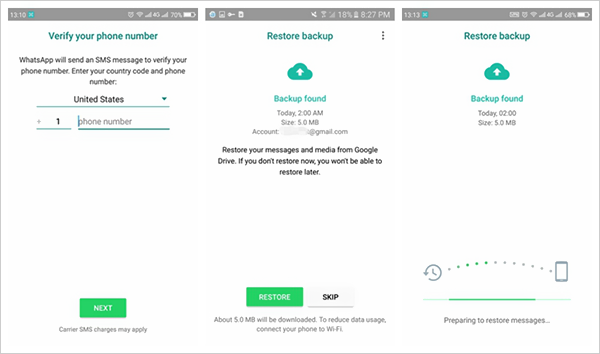 When it comes to recovering deleted WhatsApp messages on Android, many people may be confused about why the deleted data can be recovered. Don’t worry, I will explain in detail next. In fact, when your WhatsApp messages were deleted, they didn’t really disappear. Although you can’t see them, they still exist in your phone and can be recovered before being overwritten by new data. 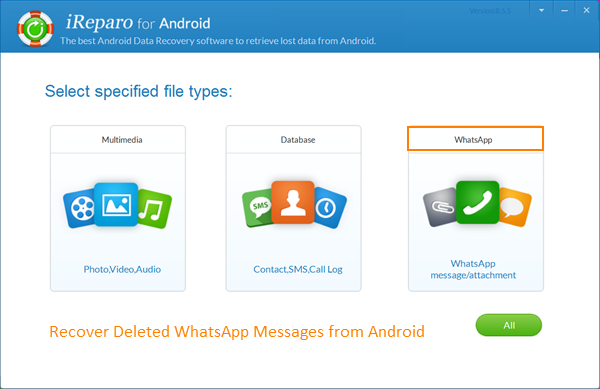 As for how to recover deleted WhatsApp messages on Android, you might refer to the following two solutions. Uninstall and reinstall WhatsApp application on your phone. And make sure the same Google account that was used to perform the backup has been added to your phone. After verifying your phone number, tap “Restore” when prompted, then tap “Next” and your deleted WhatsApp messages will appear on your WhatsApp Messenger again once the initialization is complete. Note: If you don’t have any Google Drive backups, WhatsApp will automatically recover from your locally stored backup files during installing WhatsApp. Run iReparo for Android on your computer, then tap “WhatsApp” from the main interface. Connect your Android phone to PC via a USB cable (Make sure USB debugging is turned on). Once connected, tap “Start” to scan, preview, and recover WhatsApp messages from Android. Note: During this process, please keep your phone well connected to your computer. The scan time depends on the size of the data inside your phone, please wait patiently. Furthermore, iReparo for Android is a multi-functional data recovery software, which can not only recover deleted WhatsApp messages from Android, but also available for recovering deleted contacts from Android, recovering deleted photos from Android, etc. Recovery supports are provided for all kind of Android phones and tablets.